Meditation brings interesting benefits to health, both physically and emotionally. Benefits that can also impact on children. In fact, the stress, the tensions and concerns are not only adult things. Children can improve their wellbeing with simple meditation sessions, a good alternative sessions for children with hyperactivity. The techniques of meditation and relaxation can be part of healthy habits and physical exercise. As we know, to improve our physical and emotional well-being is essential to stay active. So that our body and our mind work better it is important to relax and to be calm. And here comes into play the meditation, a technique that we can put into practice from childhood. Meditation techniques help us to feel and know each other better. Techniques that can be put into practice, adults and children. The benefits are many, since the synchronization of the cerebral hemispheres, enhancing the capacity for analysis and intuitive, improve mood, reduce the level of stress and anger, improve attention and concentration, and achieve a higher level of relaxation. One of the advantages in case of the children, meditation can improve academic performance, ability to concentrate and control negative emotions. 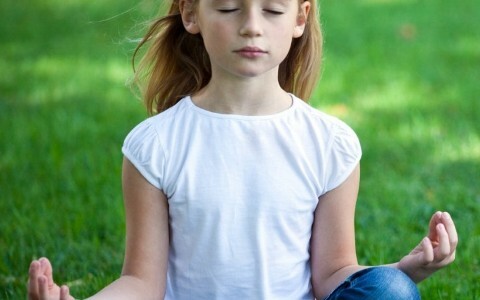 It is not necessary to use specific meditation techniques though, to introduce children can put implement some creative exercises. In fact, it is very important for the children that it turns out to be entertaining, almost like a game. Meditation is based on breathing, a first fundamental step. It is important to help the child focus on the breath doing to keep their eyes closed to avoid external stimuli. To encourage achieve the concentration is very useful to use relaxing music. Logically, as a function of age we can put into practice one or another type of exercises, both in terms of duration and content. There are other interesting traditional meditation are based on activities that help calm the mind. Most importantly, in the case of children, it is to maintain the calmness and be patient. Do not forget that children tend to follow the example of adults.